We're having a veteran star working with a younger actor day today! If you like literature you might find this one interesting: Oscar Winner Kevin Spacey has joined Nicholas Hoult in REBEL IN THE RYE biopic on J.D. Salinger! With young Nicholas playing the writer himself, Spacey will portray Whit Burnett, a professor at Columbia University and editor of Story Magazine who became an early mentor to the writer and became the first to truly challenge him and broaden his horizons as a storyteller. The film itself depicts how, after his rebellious youth and the bloody front lines of World War II, Salinger soared to the heights of the literary world but left it all behind for a life of seclusion. THEO JAMES & BEN KINGSLEY? Meanwhile, another young guy we like, Theo James is in early talks to join Ben Kingsley in BACKS TABBING FOR BEGINNERS the movie adaptation of Michael Soussan's memoirs. 'Deadline' reports that he would play Michael, a young idealist who lands his dream job as a program coordinator for the UN’s Oil for Food program. He is thrown into an already fraught post-war Iraq where government agents and power hungry Western countries are circling the country’s oil reserves like sharks. He seeks answers from the one person he thinks he can trust, Pasha (Kingsley), his boss, a seasoned diplomat. The more Michael learns, however, the more he suspects a conspiracy at the highest level. The only way out will be to expose it all — risking his own life, his mentor’s career, and the life of the Kurdish woman he loves. And the last in our theme today - a mix of Adrien Brody and Sam Neill in the first trailer for BACKTRACK thriller in which Brody plays psychologist Peter Bower whose life is thrown into turmoil when he discovers that the patients he has been seeing are ghosts. Risking his own sanity, Peter delves into his past to uncover a terrifying secret which only he can put right. 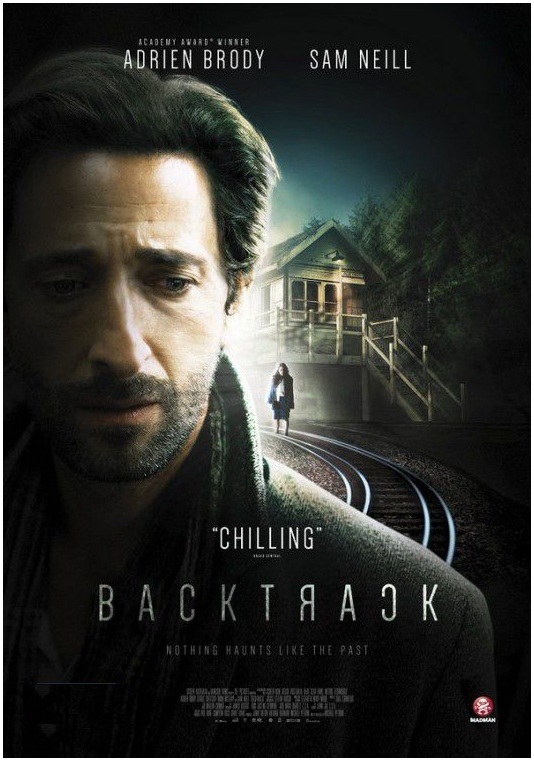 BACKTRACK is a spine-chilling story from the acclaimed writer-director, Michael Petroni out in UK next week! All three of these sound worthy! Oooh I like psychological thrillers so Backtrack is for me. The trailer was good enough to make me want to know the end of the story. Also me lurvs Adrien. he is always nice to watch, you remember I once saw him in person and he was me too :) Was so stunned to see me, I reckon LOL He is ever so small in reality. I was surprised at that. He seems tall on the screen. Of course he was flattered to have met you dahlink, he is intelligent after all. Hey, when I had the free trial of Amazon Prime, I got to see Grimm. I loved, loved, loved it. But I only got through one season and no one else has it. Trying to get The Hubby to buy me a Prime membership so I can see it all. I'm glad for Netflix that they are growing as that means they'll have more things to watch. I'm trying out HULU for a week. They'e got loads and loads of British Detective shows. No one does detective shows as well as the Brits. I wish I could Torrent here, but the risk of getting a virus is too high. The Spawn has ruined more than one computer by doing it. Dahlink, there is entirely no way you can get viruses by torrenting if you have an antivirus programme. 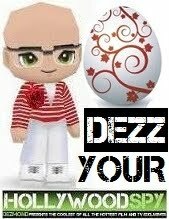 And you always have comments of people who already downloaded things. I like the sound of Backstabbing for Beginners! Oh wow. Backtrack sounds fascinating. Gotta see that one! Ghost patients? Now, that sounds intriguing. Backtrack kind of sounds like 6th Sense, no? Seeing patients that are ghosts sounds a little recycled. I hope it's chilling. Usually when they say it is, it isn't. What say you?